"Here come the grandparents. There go the rules." Artie Decker (Billy Crystal) is an aging baseball announcer who is experiencing some troubles in his professional life. He wants to focus more on his career, but his wife Diane (Bette Midler) wants to spend more time with their grandchildren â€" which is the last thing he wants to do. When they are offered a chance to come and babysit for their daughter and son-in-law. Diane pushes Artie to take them up on it and give her a chance to be their favorite grandma, instead of their second-favorite. Diane wins out, and the grandparents end up in the Atlanta suburb where their grandchildren live. The two are dumbfounded when they arrive at the home of their daughter Alice (Marissa Tomei), and are given the parenting rules for the children. The old school philosophies are out, and the new style of parenting, is that the children never hear â€œnoâ€, and instead are urged to consider consequences of their actions. Artie is stunned to learn that even the rules in sports have adopted this attitude, that there are no rules, every child plays and no one wins, and no one loses. What follows is a comedic trip of wills at war. Their daughter and her husband (Tom Everett Scott) go on their business trip, with strict guidelines and expectations in place they leave the grandparents alone with their grandchildren. It is then that the grandparents decide to throw the â€œnewâ€ parenting rules out the door and go back to their philosophy of raising children, knowing they can make a difference. Soon enough, the grandkids are out of control, their lives reeling from the changeup in rules. But, as the grandparents, the parents and the grandkids begin to start putting the pieces back together they all start to see that maybe there is no right or wrong, and valuable lessons can be learned by children and grownups alike. 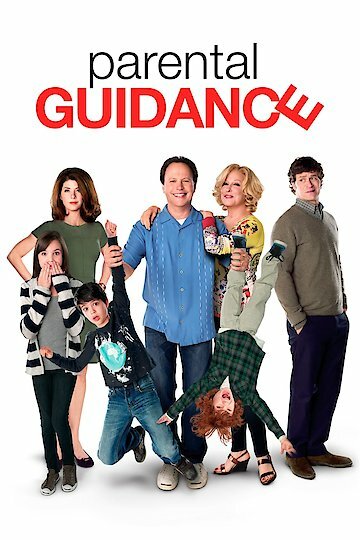 Parental Guidance is currently available to watch and stream, download, buy on demand at FX+, FOX, Amazon, Vudu, Google Play, FandangoNow, iTunes, YouTube VOD online.